The classic boy-meets-girl-makes-Faustian-bargain-with-evil-talking-plant story, Little Shop of Horrors may be best known by its 1986 movie adaptation starring Rick Moranis and Steve Martin. The movie was based on a musical that started in off-off-Broadway in 1982, and made its way to off-Broadway and finally to Broadway itself. That musical was actually based on another movie released in 1960 – a B horror comedy cult classic. One thing I learned watching the original Little Shop of Horrors is that Bill Murray’s character Arthur Denton was not imagined out of whole cloth just so the movie could have a funny scene with Murray and Martin. In fact, he is based on Wilbur Force, a masochist in the original movie who, after the murder of the dentist, insists that Seymour himself operate on him. 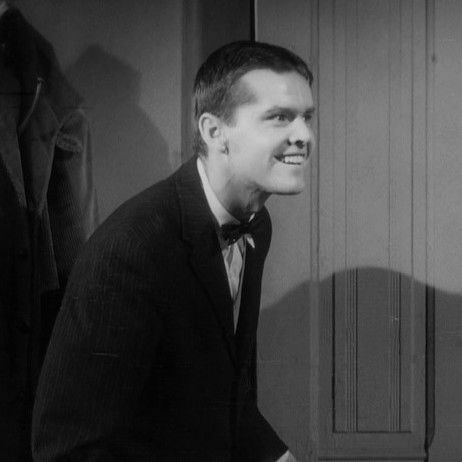 This was one of Jack Nicholson’s earliest roles, and he is nearly unrecognizable he is so young. Finally, if you are a fan of the musical and were disappointed by the strangely abrupt and upbeat ending of the movie, you should know that it seemed rushed for a reason. There was a complete ending closer to the tone of the musical and the original movie that was cut because it upset a screening audience. 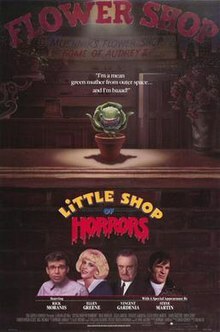 Fortunately, A Little Shop of Horrors “director’s cut” is out on DVD that shows the movie as it was originally intended. Watch it. Superhero movies are among the rare areas of disagreement between Rotten Tomatoes and myself. Critics laud as an action-packed visual masterpiece what I see as a series of cliches and overused plot devices. I should know this by now, but every once in a while another film bills itself as a revolution and I fall for it. Not that Black Panther isn’t revolutionary. It addresses colonialism, something rare in Hollywood. Its strong female characters are described in level-headed publications as having the potential to change the world. It may be the first example of afro-futurism entering the mainstream consciousness. It’s also two hours and fifteen minutes of one-liners, explosions, and people punching each other. If you don’t blink you might catch the minute or so dedicated to plot, character development, and interesting concepts. That minute is well worth seeing, but if you’re not into Marvel movies in general, consider downloading The Shape of Water to your phone and switching to it whenever somebody pulls out a gun, a spear, a witticism, or a remote-operated vehicle, or T’challa’s catsuit materializes on his body. You might be able to get through both. Alternatively, you can donate $14.75 or whatever they’re charging for movies now to your favorite social justice cause and keep your two hours and fifteen minutes for activities that do interest you. If you like India, wrestling, or stories of broken glass ceilings, if you like touching family stories, hilarious off-beat foreign comedy, or strangely direct musical lyrics, if you like to fantasize about beating up boys who make fun of you, if you have Netflix and three hours to spare, you should watch Dangal. Dangal is a story about India’s first wrestling gold-medalist at the international commonwealth games. Its lengthy runtime allows for a relaxed pace for a story that spans more than twenty two years, with one actor undergoing dramatic body transformations to represent their character as young and old and others played by two actors each for their child and adult versions. For this movie, Aamir Khan, one of the most influential actors in Indian cinema today, had to be trim and muscular and soft and potbellied in the same movie. So that he could be muscular after filming was done, he asked to have the movie filmed with the later scenes first and the chronologically earlier scenes last. To transition from the old version of Mahavir Singh Phogat to the representation of himself in his prime, Khan exercised six hours a day and lost 25 kilograms (55 lbs). Meanwhile, the four women surrounding Khan as Mahavir in the picture above actually represent just two women. Exhibiting an ahistorical ability to violate the space-time continuum, Mahavir is sitting with both the adult and child versions of each of his two wrestler daughters simultaneously. If you can’t figure out who is the adult version of whom, don’t feel bad. This is a serious problem with the movie for me. As soon as Geeta becomes an adult, none of my affection for the child version transferred. It’s not just the change in appearance that’s jarring. The kid looks like someone who will beat any boy who teases her to a bloody pulp, whereas the adult Geeta abruptly seems more delicate and gentle. It’s not enough to wreck the movie, but it’s disappointing. Overall, I cannot recommend this movie highly enough. At about the halfway mark, when the child Geeta becomes famous, is a good midpoint that closes one challenge before the next one begins. Consider using this as an opportunity to pause the film and finish it the next day. As two normal-length movies, this is an excellent pastime for the family.